A showcase for all times, comes in many configurations. Lift up hydraulic front glass with Pyrolytic heat on front and sides, available in Pastry, Gelato and Chocolate applications. 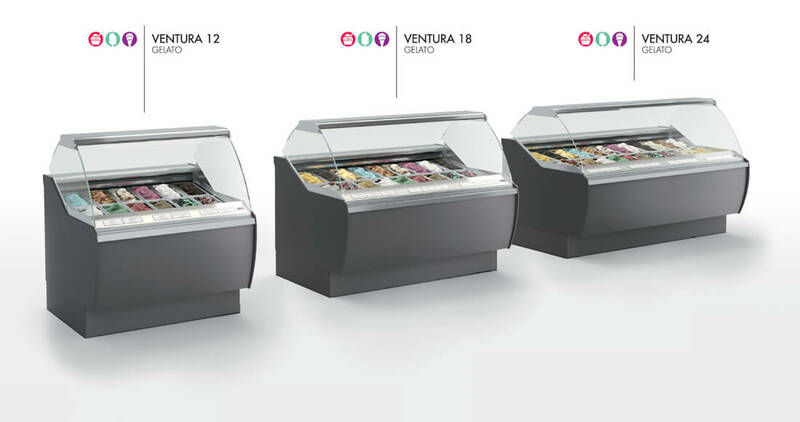 Gelato and Ice cream showcases have pans storage capability. Just like the entire Oscartek™ line it can be customized to fit any décor. LED lighting is optional.